Around the Year in 52 Books – A book that intimidates / scares you. An investigative criminologist, Christopher Berry-Dee is a man who talks to serial killers. In this book, their pursuit of horror and violence is described in their own words, transcribed from audio and videotape interviews conducted deep inside some of the toughest prisons in the world. Berry-Dee describes the circumstances of his meetings with some of the world’s most evil men, and reproduces their very words as they describe their crimes and discuss their remorse—or lack of it. 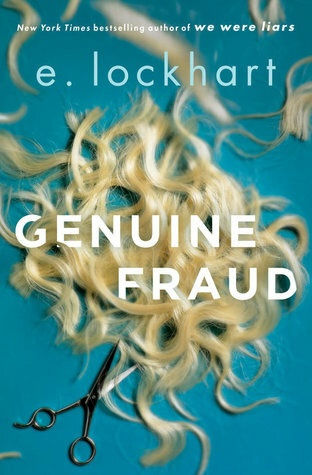 This work offers a penetrating insight into the workings of the criminal mind. I have a morbid interest in serial killers. If I could do any job in the world, without needing a degree or prior training, I would love to look into the psyche of serial killers; finding out their motivations and what compels them to commit these crimes. There is no denying that Christopher Berry-Dee is a skilled interviewer, getting some of these murderers to talk to him and admit things, which they haven’t done for other people. In some cases they haven’t spoken to journalists in years, if ever. However, a lot of this book felt like Berry-Dee was giving himself a pat on the back. An interesting subject but the misleading title, lack of direct quotes from the killers, and unreliable narration left me less impressed than I hoped. 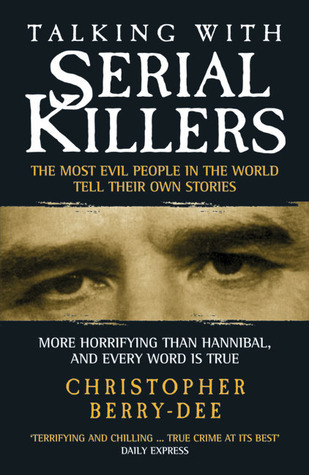 I was going to get his conversations with female serial killers but after reading this book, I don’t think I will. Geralt. The witcher whose mission is to protect ordinary people from the monsters created with magic. A mutant who has the task of killing unnatural beings. He uses a magical sign, potions and the pride of every witcher – two swords, steel and silver. But what would happen if Geralt lost his weapons? The story is a prequel to the renowned series of novels by Sapkowski. As always Geralt is caught up in a huge mess involving sorceress’ and the politics of yet another empire. However, he isn’t alone, his trusty sidekick Dandelion appears just in the nick of time and you begin to learn more about Geralt’s friendship with the dwarven kind. Sapkowski has a particular method for describing the more sexual nature of his novels including describing a scene by applying the metaphor of a ship in a rocky bay for the sexuality between Geralt and the sorceress, Lytta Neyd. To quote the weirdness of the sea metaphors “He utterly devoted his hands and attention to a pair of galleons under full sail.” This appears in the midst of his raunchy relationship and I’m sure that I don’t need to explain what these “galleons” are. The strangest thing about this relationship is that it revolves around Lytta, the sorceress to a crazy King who specialises in creating infertile brides (usually around 18 years old) for the King (who is around 80 years old). Sadly, if you have read the short manga styled adventures of Geralt then you would have already read the majority of this story. Also, the story took on a very interesting twist when Geralt is sent on a cat and mouse hunt for a disgustingly violent serial killer – a much more interesting story line. However, despite this being built up for the majority of the story, it is incredibly quickly resolved when Geralt comes face to face with the enemy. Sadly the story does not live up to the rest of the Witcher series and should be avoided – just don’t avoid the actual series of novels (these are much better!). Around the Year in 52 Books – An author’s debut novel. As I read this book, Mark Twain’s famous quote kept running through my mind. This book is a mash up of lots of popular ideas, some not really changed at all, added to the interesting, but ultimately not unique, story. 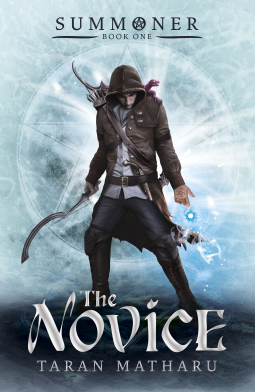 Orphan and blacksmith apprentice Fletcher discovers that he has the ability to summon demons from another world. He travels to the Adept Military Academy, a school, to learn more about the art of summoning. He is put through training with commoners and nobility, and newly accepted elves and dwarves. They are told that they will be put in a competition against second year students and the winner will receive a promotion in the military. The demons are essentially Pokemon. Some of the descriptions and names even remind me of Pokemon – but this is probably because they’re both based on mythological creatures rather than blatant stealing eg. Pheonix, Hydra and Hippogriff all come from mythology, hense the links to other series such as Harry Potter and Percy Jackson. The demons all have skills and can level up. Like Pokemon, they are separate entities to the summoner and can be controlled. The part where I got frustrated was with the elves, dwarves and orcs. They were stereotypical of their fantasy-races and it was like reading The Hobbit film. The dwarves did the mining and rode on the back of boars. 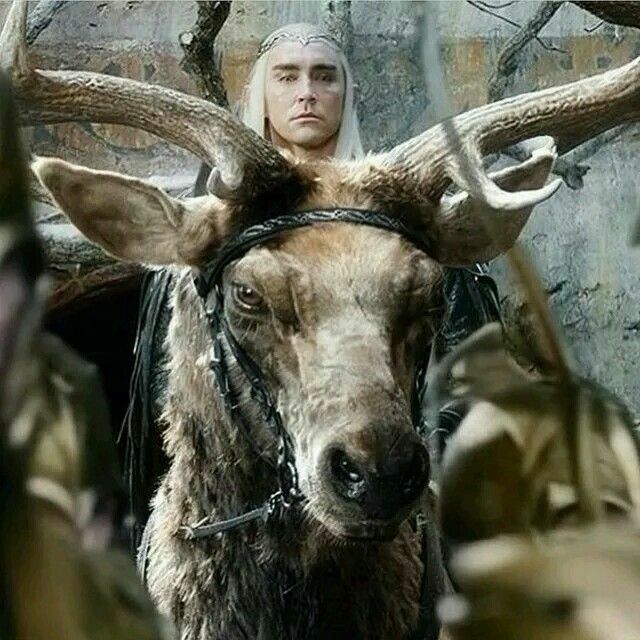 The elves were agile, graceful and rode on the back of giant elks and used bows and arrows. 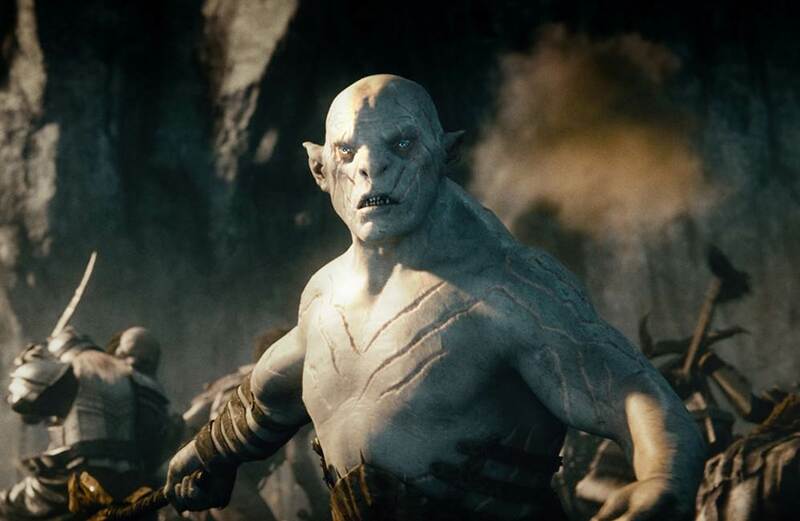 The orcs were the enemies and there was even a large, albino orc with red eyes. Add on that Fletcher’s an orphan, we all know his parentage will be someone important. Of course the nobility are mean because all rich people must be horrible, only commoners are nice people. A competition against second years and nobility, who have had years of extra practice, I wonder who’s going to win… groan. I’m sure this author will achieve and write fantastic things in the future but this book was like reading fanfic rather than any original ideas. Around the Year in 52 Books – A book set in Africa or South America. The story is told backwards, beginning with Jule on the run. She’s dressed up in disguise, calls herself “Imogen” and flees when she feels her cover has been blown. The story is told in third person, by an unreliable narrator. This was one of the only positives I can think of with this book. The unreliability meant I questioned myself as to who I believed and who I felt sympathetic towards. None of the characters were particularly likeable but I think that’s the way they were meant to be portrayed. I also found them completely unrelatable and unlikable because of their attitudes, they were privileged young girls with a lot of money and time to waste. Being told backwards means it’s quite obvious what has happened. We’re supposed to find out the hows and whys but this didn’t really build up much tension and I found it all very unbelievable and anticlimactic. Being marketed as a mystery, I expected SOME mystery or suspense. There was very little. I get what E. Lockhart was trying to do and I commend someone for trying a different style but this didn’t quite work for me. I definitely preferred We Were Liars. 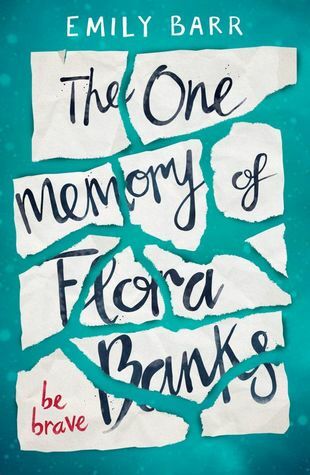 Books reviews: Red Queen, Thirteen Reasons Why and The One Memory of Flora Banks. 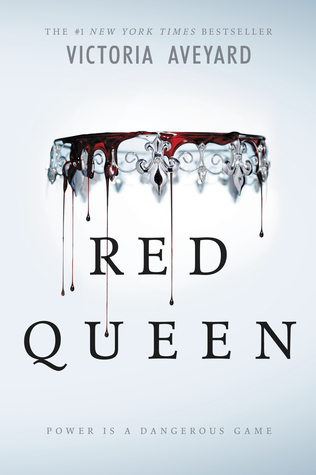 Around the World in 52 Books Challenge – A book where one of the main characters is royalty. This is a book that you’ve read before. Many times. It’s just a mash up of lots of popular books. This left it being highly predictable and, for me, disappointing. There are Reds and Silvers. Silvers have special powers (think X-Men) and therefore rule the Reds and send them off to war at 17 to fight their battles. Throughout the book, the Reds do very little escape their living state. And then Mare comes along. Like most YA heroines, she is the reckless Saviour, who is unlike all the others and powers. Again, think any YA heroine, she is also sassy but makes silly choices. When she gets two love interests come along she thinks about them both obsessively. On the bright side, the love triangle isn’t dominating of the book. I loved Queen Elara. Manipulative, ruthless and malicious, she was something fresh in the book as she provided twists. Although, again, the character was a lot like Cersei from Game of Thrones as she had a fierce love for her children and was ruthless in getting them, and herself, power. For me, the major saving grace of this book was the ending. I know lots of people loved this book and they can get over the fact that it’s basically a mash up of other books because they get investing in the characters but for me it was too similar to other books, making it predictable and lacking in originality. 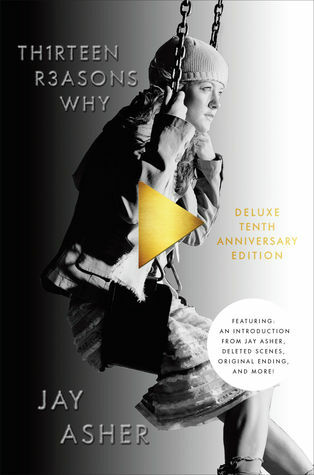 I read this book just after the TV series had been released on Netflix. I went in knowing nothing other than it was about suicide. I was completely hooked. This is Hannah’s story, even though she has already killed herself. Before she committed suicide, she recorded 13 cassette tapes which are passed on to 13 people to say how they had an impact her decision to end her life. I was so captivated by what Hannah was saying. It was just so eerie and powerful. I sped read Clay’s bits, as really he was just a mediator as he listens to the tapes, just so I could listen to what she was saying. Whether you like the book or not, it still has a powerful message which really makes you think about how our words and actions have an impact on other’s lives. I received a few chapters of this book in one of my Illumicrate boxes. Then I started seeing it everywhere. So when it came down to being 99p on kindle, I had to buy it. I’m glad it was only 99p. I haven’t read many books about anterograde amnesia but all the ones I have read have the same “twist” that someone is not telling them something. So when the twist came up, it wasn’t a surprise, it was a groan that emerged from me. This whole book just screamed unbelievable to me. Not only the twist but her making her way to Norway on her own without raising any suspicion. The one thing I did like is that the synopsis suggested that her amnesia could be cured by the kiss, but luckily (for the plot) it wasn’t. Have you read, or are you going to read, any of these books? What did you think? Publication: 8th March 2016 by Margaret K. McElderry Books. Around the World in 52 Books Challenge – A books from the Goodreads Choice Awards 2016. I told my self I wouldn’t do this. I told myself I wouldn’t read another Cassandra Clare book. I told myself I wouldn’t put myself through the disappointment. Then I ending up buying it. I told myself I wouldn’t read it. I told myself it could just sit on my shelf to complete my collection. Then I read it. I don’t know why I did it. I dislike Cassandra Clare. She blatantly takes things from other people’s books and says they’re inspiration (see my review on The Iron Trial). She is a fan pleaser, and I freaking hate that. Her fan pleasing completely destroys what was good about the books (See review of TMI). Firstly, this is meant to be a stand alone series. But if you haven’t read any of her other books, don’t read this first. It completely ruins the endings of TID and TMI. I would say all of her books, but I don’t know about The Bane Chronicles, so I would say go ahead and read that before you read this one too. This book is a whopping 698 pages long. And what happens in those 698 pages? Bugger all. This book is about 400 pages too long. Stuff happens in the first 150 pages and in the pages 450ish -550ish and that’s it. The rest of it is just filler. There’s lots of talking and lots of focus on different characters. The problem was, there were so many different characters that I didn’t really get attached to any of them. Emma was basically a gender-bend version of Jace, who was sarcastic and made lots of stupid decision like going off without telling her Parabati. She’s confident and a strong female protagonist but I didn’t overly like her. Julian like a mixture of Simon and Clary; family focused, fiercely loyal and with an artistic flare. Marc was a bit more interesting, having returned from the faeries, it was interesting to see his conflict between where his loyalties lied. My favourite character was Cristina because she felt different and there was a bit of mystery there. What really wound me up about this book was the cameos. Now I know lots of readers would love this but it really got on my nerves. Was there really any need for them to appear? Did they really add anything to the plot other than a constant reminder that they’re there? One of my saving graces of this book was Emma’s decision at the end. 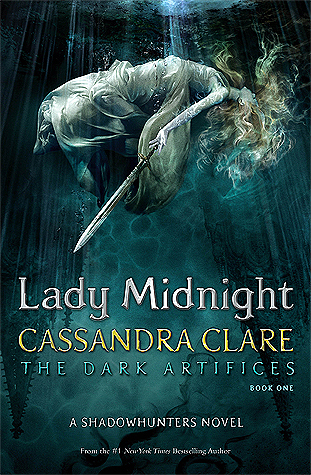 I know what lots of fans reaction will be, and I bet Cassandra will rectify that in later books, but that peaked my interest a bit. Will I read book 2? I say no. I want to say no. I bet I’ll end up reading it. 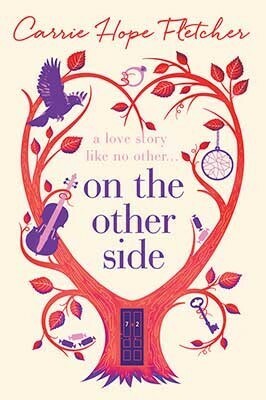 On the Other Side will transport you to a world that is impossible to forget. Powerful, magical and utterly romantic, this is a love story like no other from everyone’s favourite ‘big sister’, Carrie Hope Fletcher. I picked this book up for the beautiful cover and because the premises intrigued me. I knew the author was a youtuber, and that this is her first novel, so I didn’t go in with overly high expectations. I came out thinking that the whole thing was just a bit silly. I just had so many issues with the book, some of which probably wouldn’t bother other people but just really got on my nerves. Firstly, those ridiculous names. Evie Snow, Vincent Winter, Colin Autumn, August Summers, Sonny Shine and Clementine Frost. It felt like a a teen who had read how some great authors use names to suggest their character and foreshadowing and had no sense of how to do with subtly. The characters themselves felt quite two dimensional. Based on the world I don’t understand why she decided to cave to her parent’s demand to support her brother if he was disinherited. They’re both adults living in a seemingly accepting society with jobs, which Evie easily got. Also, why keep with the choice for so long if it is clearly what none of you want? It was partly hard to understand the characters choices because there was no timeline to link it to. The magical realism was also problematic for me. Firstly, I actually rolled my eyes at “Little Bird”, the white bird they wrote love notes on until it was so full it was a “black” bird. Especially how this bird lived almost fifty years because of their love. The dove’s wings had become almost entirely black, so he’d started carrying their messages on his back and his chest, but he welcomed them with open wings. No one wanted their love to work more than he did. Their messages of love and kindness gave him strength and a purpose. The tree was bizarre and although was explained I don’t really feel it fitted in with the book. If you’ve read it, you know what I mean. If you haven’t, just wait for that delight… I just personally feel the whole magical realism should have been removed. Vincent was described as being bi-sexual and her brother as being gay. Although I liked this as it was inclusive and wasn’t too predominant, I was also annoyed because I had this bugging feeling that the author only added it because she knew her audience would love it. Vincent being bi-sexual also added literally nothing to the plot. I just didn’t love this book. Anna has been ‘abandoned’ by her parents in an American boarding school for rich, gorgeous American teens in Paris. L’horreur! It gets worse! There’s a hot, mopey guy back home who she’s in love with but he prefers her friend and the other guy who she’s in love with in Paris has a girlfriend. Oh non! What an awful life with such huge problems. I enjoyed Anna and Etienne going around Paris, as it reminded my of my time there, but that was about it. With a title containing French Kiss I expected kissing and romance. What I was given was a lot of self pity, pining and then some cheating. I finished this book late at night. I’m not sure if it was my tiredness or the abstract prose but I’m not really sure how this book ended. The story is about a girl called Cara and her family. 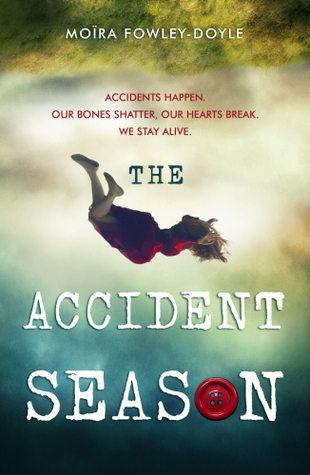 In October, her family begin to wrap themselves up in extra clothing to protect themselves as they become more accident prone – the time they call the accident season. The book begins with Cara noticing a childhood friend, who she rarely speaks to any more – Elsie – appearing in all her pictures. Sometimes it’s her hair, others her elbow but she appears in every photo. The book is full of a lot of strange bits, often seemingly random, about witches and mermaids. The first 3/4 of the book was quite slow, obviously building up to some twist. I almost put the book down within the first half as I found the plot to be going no where. So when I finally read the last quarter, I was confused with the explanation of the accidents and Elsie, among other things. Due to the revelations and twists at the end of the book, it’s really hard to delve into character’s and why I liked/disliked them. I found Bea’s personality off putting. She’s a tarot reader and has the a flare for creating strange tales. I found her tales unusual, out of place and in a few instances went on for a while. On the other hand, I really liked Alice and found her realistic. As my first read of 2017 it was a very unusual and strange book. I originally picked this book up because it was the book sent in the previous Illumicrate box, so I thought it must be good! This is one of those books that’s just okay, then it has a massive twist at the end. And it just left me feeling so cross and cheated. 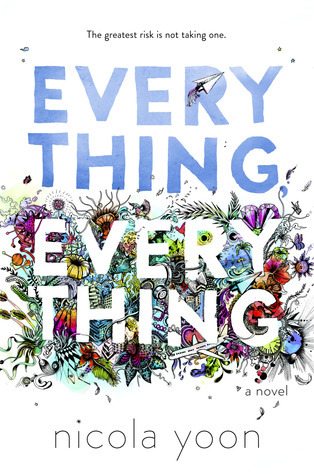 Everything, Everything is a story about Madeline, a girl who has the rare condition SCID, meaning that due to her hypersensitivity, if she were ever to go outside of her house into the unfiltered air, something, anything, could trigger symptomatic attacks that could potentially kill her. For the past seventeen years, she has been in the house with her nurse and mum looking after her, whilst she does her school work through skype sessions. When Olly moves in next door, her daily consistencies change. A plot twist that is unrealistic and left me feeling cheated and annoyed, not shocked or happy. By halfway through the book I was bored. I pushed myself to finish it because it’s not that long and because I’d heard of the hype so thought it had to get better. I liked Madeline and Olly, especially the IM and little messages but I just wasn’t feeling it. The whole story didn’t sit right. Then we got to the plot twist and I turned from bored to cross. It explained why the story didn’t feel right but it felt like an easy cop out to let love triumph. When will I learn and stop picking up over hyped book…?